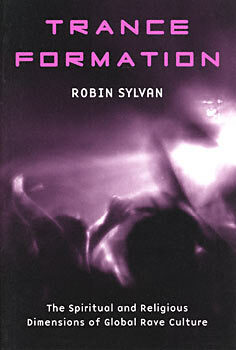 Trance Formation is an ethnographically rich look into the spiritual dimensions of rave culture froma theoretically informed religious studies perspective. Robin Sylvan takes the reader on a colorful journey from San Francisco to London, from Burning Man to the Love Parade, and reveals a synaesthetic spiritual world of sound, sight, motion, and deep trance. As religious studies converges on a new understanding of emerging forms of spirituality, Trance Formation will be welcomed by scholars and students, music-lovers and trance-dancers, spiritual seekers and fans of cutting edge culture, as well as the ravers about whom this book is written. Robin Sylvan, Ph.D., is the founder and director of The Sacred Center, a spiritually-oriented educational organization in the San Francisco Bay Area. He has taught in both mainstream academic and alternative experiential contexts. He is the author of Traces of the Spirit: The Religious Dimensions of Popular Music, and has been a music aficionado and spiritual seeker for most of his life.